This is a report on activities since the CNR meeting in Barcelona, May 2014, from our Glasgow 2016 CNR meeting with a few more recent events. At the Glasgow meeting May 2015, the Officers and Executive committee voted on the vendor for the new IFNA website. As you know, the new site is live at ifna-site. We have been working hard to update information. We must continue to provide updated and accurate content as this is our first impression to the world. After the World Congress, I will submit a President’s update or report and plan to submit a new one after each meeting (November and May). It is everyone’s responsibility to review the website and offer content. It is imperative that we update our CNR roster and our committee rosters with correct names and contact information – as well as the standards content. Thank you to everyone who worked to bring us to this point. A special thank you to Pascal Rod for his work on loading documents to the website, and to Mr. Moncef Jendoubi, Tunisia, who is serving as our volunteer webmaster. The Policy and Procedure Manual and the IFNA Bylaws have been updated and was approved in May 2016. Marianne Reisen and I travelled to Indonesia to assist with efforts to re-establish formalized educational nurse anesthesia programs in Indonesia. We met with representatives of the Ministry of Health, Ministry of Education and the Registration/licensing department. We also attending the ICPAN meeting and presented educational lectures. Following the ICPAN meeting, we traveled to Bali to meet with the head of one of the nursing schools to discuss nurse anesthesia educational programs. Sample bachelors level educational curriculum, developed by the IFNA education committee, was provided to the minister of Education. This curriculum was endorsed by the government and has resulted in the opening of new nurse anesthesia program in Bali. Mr. Pascal Rod, Marianne Riesen and I also conducted an onsite visit evaluation for the WCNA 2018 bid by Bali, Indonesia. Conducted regular business of IFNA, choose Budapest for 2018 Congress, approved trial payment and hours worked log for APAP Manager. I attended the ICN meeting in Seoul Korea with Executive Director, Pascal Rod. Attendance was down due to the MERS virus. The meeting was very interesting and Pascal has made many good contacts there over the years and he maintains good communications with those representing various organizations. We also both attended the Korean Association of Nurse Anesthetists Meeting that was held during the Congress. I gave a presentation on the IFNA to the KANA attendees during their meeting. Pascal and I were asked to attend an additional dinner with the KANA leadership to discuss physician led legislation that was introduced at the end of the congress. This legislation would require the nurse anesthetists to work under the supervision of an Anesthesiologist. At the request of Gye Seon Jeong, Korean CNR and Executive Committee member, I wrote a letter to the Korean Minister of Health following the meeting, to support nurse anesthesia practice and the ability to work without unnecessary restrictions. Gye Seon reports this letter was helpful and a Congressman has introduced legislation in support of the nurse anesthetists. We continue to communicate about the status of nurse anesthesia practice in Korea and IFNA support is available as needed. Nurse Anesthetists have been providing safe and high quality anesthesia care for over 150 years. Studies confirm Nurse Anesthetists provide anesthesia services in 107 countries. 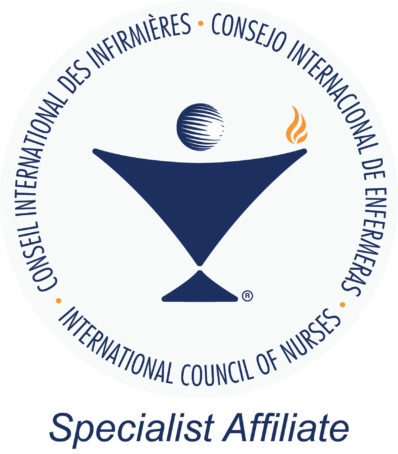 The International Federation of Nurse Anesthetists (IFNA) is the global organization representing Nurse Anesthetists. IFNA was founded in 1989 with twelve charter members: Austria, Germany, Finland, France, Iceland, Norway, Sweden, South Korea, Switzerland, United States and the former Yugoslavia. IFNA is dedicated to advancing global educational and practice standards to progress the art, science, and safety of anesthesia care. A nurse anesthetist must complete basic nursing education, basic nurse anesthesia education, and be qualified/ authorized within their country to practice nurse anesthesia. IFNA has developed an international accreditation program for nurse anesthesia, entitled “Anesthesia Program Approval Process” as well as model curriculum for educational programs. The IFNA has 40 country members and is managed by the board of Country National Representatives. Elected Officers /Executive Committee members manage the organization between full board meetings. Current IFNA officers are: President Jackie Rowles (USA), 1st Vice President Ingrid Andersson (Sweden), 2nd Vice President Marja-Lisa Ylitalo Airo (Finland) and Treasurer Zorica Kardos (Slovenia). Executive Committee members are: Stefan Alfredsson (Iceland), Manda Dunne (United Kingdom), Jennifer Hui-Ju Yang (Taiwan), Gye Seon Jeong (Korea), Marit Vassbotten Olsen (Norway), and Marie-Ange Saget (France). The Executive Director is Pascal Rod (France). Following the 2014 CNR meeting in Barcelona, Mai Taki, CNR Japan, applied for and obtained a grant from Pfizer Japan for research and work on the establishment of the infrastructure for the Asian Society of Nurse Anesthesia. The participants in the research include: Jennifer Hui Ju Yang (Taiwan), Gye Seon Jeong (Korea), Mai Taki (Japan) and Jackie Rowles (USA). A data collection tool was developed by Mai and data was collected from all 4 countries. This group was funded to meet in Korea during the ICN meeting, but that meeting was cancelled when Japan and Taiwan would not allow their citizens to travel to Seoul due to the MERS virus. The four researchers met in September 2015 in Salt Lake City, Utah, USA during the American Association of Nurse Anesthetists Annual Assembly, and again on November 14th in Kyoto, Japan. The analyzed data will be utilized for future publication and, hopefully, to establish an infrastructure for the founding of the Asian Society for Nurse Anesthetists, as well as for education and practice requirements for Asian nurse anesthetists. The IFNA standards are a part of this research tool. I was asked to give an educational lecture to the nurses at Otowa Hospital, Kyoto Japan on the role of nursing in pain management, including the role of advanced practice nursing. The power point was submitted six weeks in advance for translation. The lecture was at 7 pm on Friday, November 13th. I gave a lecture that was simultaneously interpreted by Mai Taki, and also fielded questions and answers. The session lasted 90 minutes and the room was full with about 40 persons, including a couple of physicians – one was an infectious disease specialist who had questions about the advanced practice nurses prescribing antibiotics. On Saturday November 14th, Gye Seon Jeong, Jennifer Yang and I attended one half of the first advanced practice nursing meeting of Japan. It was held at the Otowa Hospital and organized by Mai Taki, who is the chief nurse there of over 500 nurses employed at this hospital. There were presentations (all in Japanese). Exhibitors for pulse oximetry and BIS monitoring (brain monitoring for consciousness levels under anesthesia) were present. There has been introduction of government recognition for advanced practice nursing in Japan but there is much work to be done. IFNA remains committed to help. During our time in Japan, we were also hosted by Kyoto Kagaku Col, Ltd which is a company who makes simulation mannequins in Japan, the oldest simulation company in this country. We met with company representatives, toured their factory and saw the process of making the mannequins, toured their museum to see their history and succession of products, including the ones under development. We were impressed by several of their anesthesia products, including an intubation head for simulation that measures the force applied to the teeth, tongue, time for intubation, proper securing of tube, and a few other things. The mannequin can be changed to difficult airway positions. There is a video for review. It is a very interesting and good product for teaching or skill enhancement. I think we will see this product in the future. In Glasgow, May 2015, we introduced the meeting self-evaluation tool. The goal is to use information from this tool to provide feedback as to the effectiveness of our meetings and to assess communication as well as productivity. In summary, the results supported the fact that our agendas are always busy but each committee’s work was able to be completed within the allotted time frame, everyone understood the discussion, and each committee member felt effective as a committee member individually and as a whole committee. Ingrid Andersson, Sweden, IFNA First Vice-President represented IFNA at the global ICPAN conference in Copenhagen September 2015. Susan Fossum, ICPAN President, attended our Glasgow congress as a special guest. Pascal Rod and I attended the WHO Global Initiative on Emergency and Essential Surgical Care in Geneva, Switzerland for two days in December. This group was founded in 2005, and it was the first time we have been included, and attended a meeting. We were able to network with WHO officials, ESA members, the WFSA Executive Director, and members of the Global Alliance for Trauma, Surgical, Obstetrical and Anesthesia: The G4 Alliance. We were recognized by the chair of the group, who is a surgeon from California, USA. It was a very good meeting, we were well received, and we made very good contacts there. 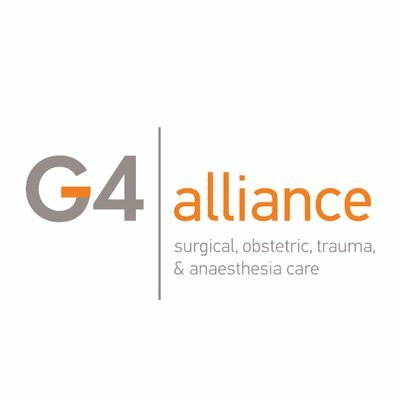 As a result of our attendance at WHO, we were asked to join the G4 Alliance. This is a very active alliance with multiple initiatives going on globally. There are over 70 organizations that are members, but we were the first, and so far the only, nursing organization. I was asked to serve as a board and permanent council member and have been participating in monthly conference calls. I am unable to attend the board meeting in Geneva in 2 weeks, and IFNA will be represented by Mr. Pascal Rod. Additionally, there is a Safe Surgery: a non-negotiable for Women’s Health, Equity & Well Being event being held in Copenhagen on May 19, 2016. IFNA will be represented by practice committee member, Jakob Vedtofte. I received a call from our esteemed Mr. Hermi Lohnert requesting that we consider a relationship and support of Mercy Ships, who operates the largest hospital ship in civil service worldwide. The Mercy Ship is currently moored in Madagascar. During a period of 10 months their team of volunteers – including surgeons, nurses, nurse anesthetist, therapists, etc. – will serve the local population with free surgery and dental treatments. Once our field service in Madagascar completed, the Mercy Ship will move to Cotonou, Benin for 10 months starting from August 2016. There we will run similar surgical, dental and capacity building programs there as in Madagascar. At the Glasgow CNR meeting, the CNR voted to donate $5000 to Mercy Ships. Efforts have been made to increase communication among us in between our meetings. It is wonderful to hear from you following email updates. Thank you for submitting your country reports as they help us understand one another and the issues we face. Through information sharing we can help each other with many of our shared concerns and challenges. I know many of us continue to receive many communications from nurse anesthetists from various countries who want to work in our own country or abroad. We answer as best we can and forward their emails to the appropriate country representatives for help. There are many requests for information on practice requirements of various countries, and this is something the practice committee is working on obtaining. After a long struggle with cancer, IFNA leader Ron Caulk passed away on Friday April 29, 2016. Ron’s memory and IFNA contributions were honored at the opening ceremonies. We will greatly miss our friend and mentor. Thank you to Pascal Rod for creating a memorial tribute to Ron on the IFNA website. The next IFNA meeting is in December 2016, in London, UK. The CPC committee will meet on Friday December 16th and the Officers will meet on Saturday Dec. 17th and Sunday December 18th. 1) Ms. Hsiu-Yun Chang, Taiwan, who will join the committee immediately. Welcome Ms. Chang! We all look forward to getting to know you better. 2) Mr. Christian Herion, Switzerland, who will join the committee following the May 2017 meeting, and will be replaced as the Swiss CNR. Thank you to Christian for his service as the Swiss CNR and best wishes in his upcoming new role. I continue to be humbled and honored to serve as IFNA President. Our organization is blessed with wonderful people working together to move our profession forward and improve anesthesia care on a global level. 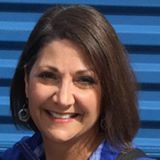 Thank you to all of the CNR, Officers, Committees, and our Executive Director, for the dedication, hard work and commitment to IFNA. Together we are making a positive difference in the world.